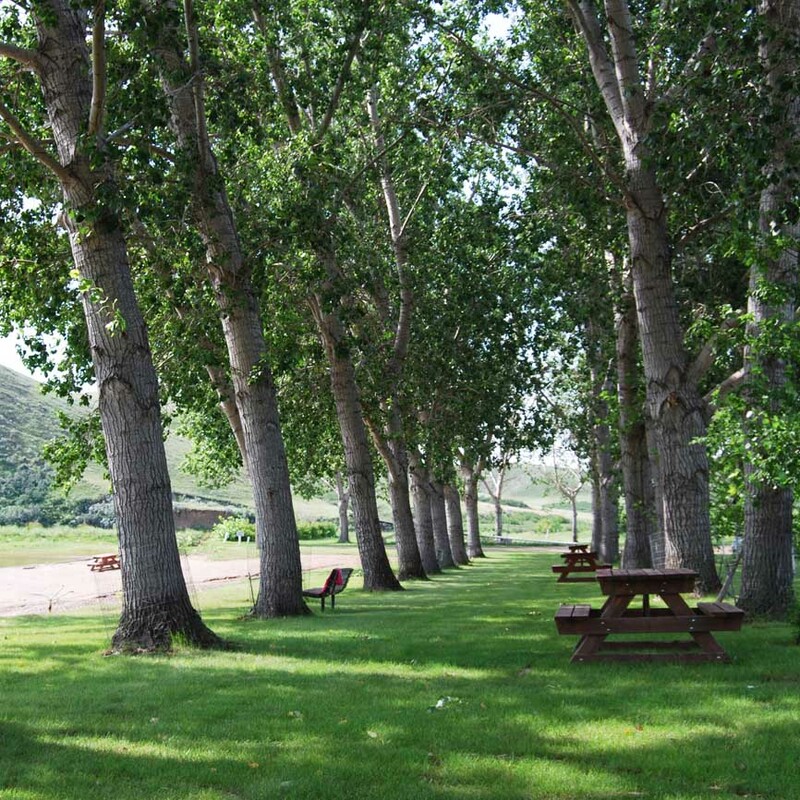 This park is surrounded by beautiful trees, a welcoming environment and essential services for camping. 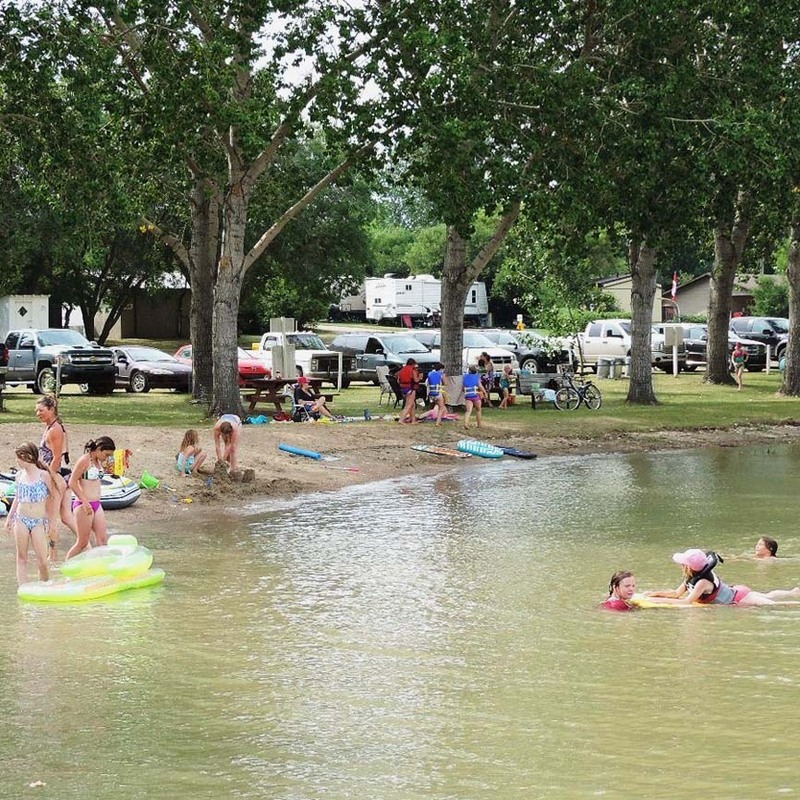 The park provides quiet family camping and activities for children. There is full food service (hamburgers, fries, ice cream, etc.) which is open Thursday afternoons to Sunday evening. There is a camp kitchen available for different celebrations with horseshoe pits and a volleyball court nearby. A new playground has just been completed near the beach area. New three hole disc golf course right in park, plus portable basket/tees and discs available for loan. 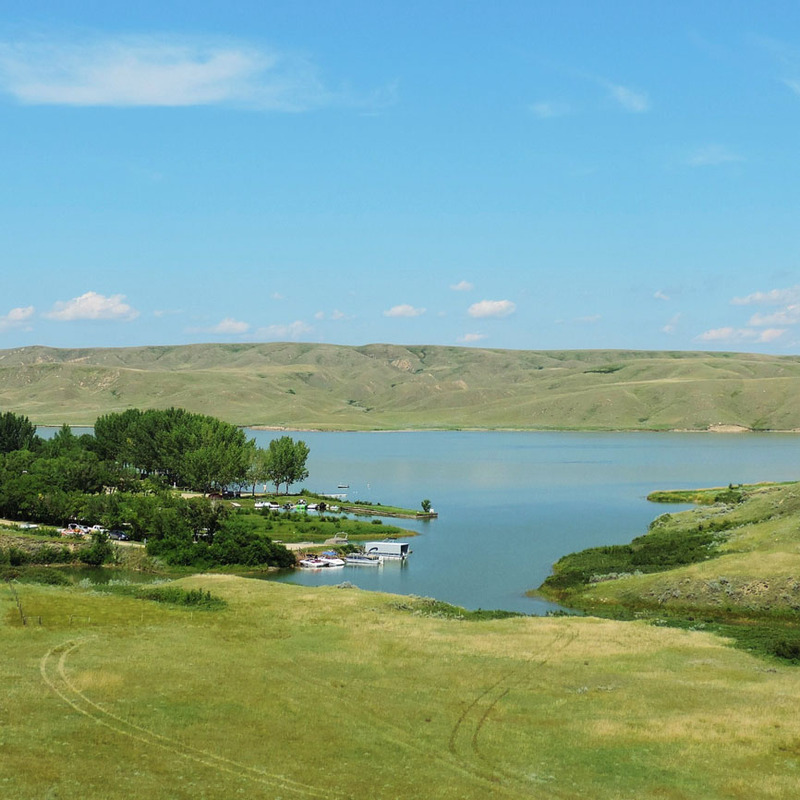 Lake Diefenbaker is a huge lake great for boating and other water sports. 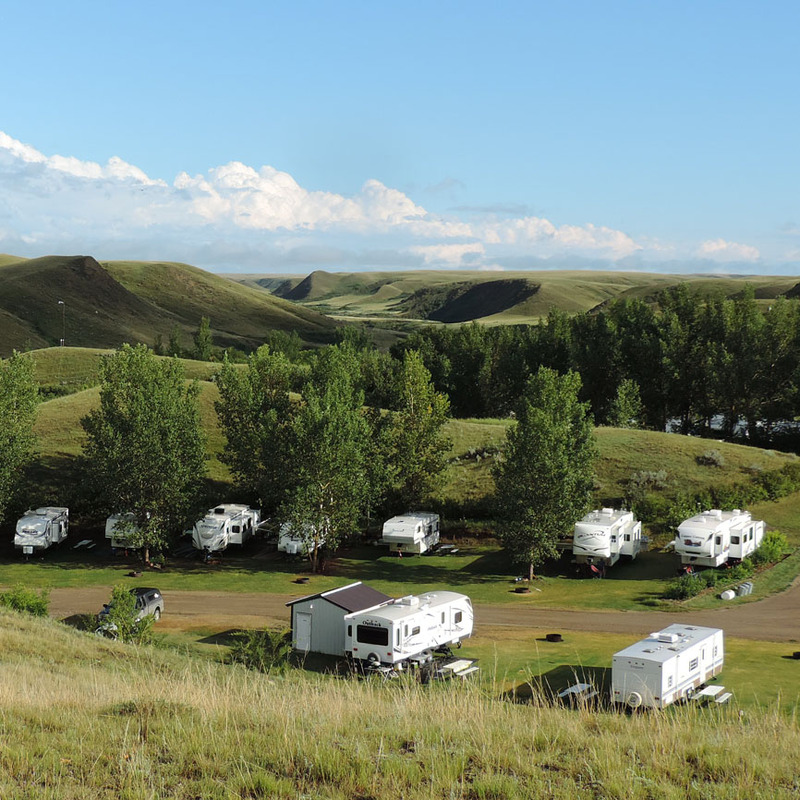 The town of Cabri (20Kms) offers full service grocery and hardware store, cardlock fuel, post office, library with free internet access, hotel and auto repair. There are two liquor stores and three restaurants, massage therapy and day spa, gift shop, florist and big rig truck and car wash (coin operated). The medical clinic and pharmacy is open Monday - Friday but does not have emergency services. 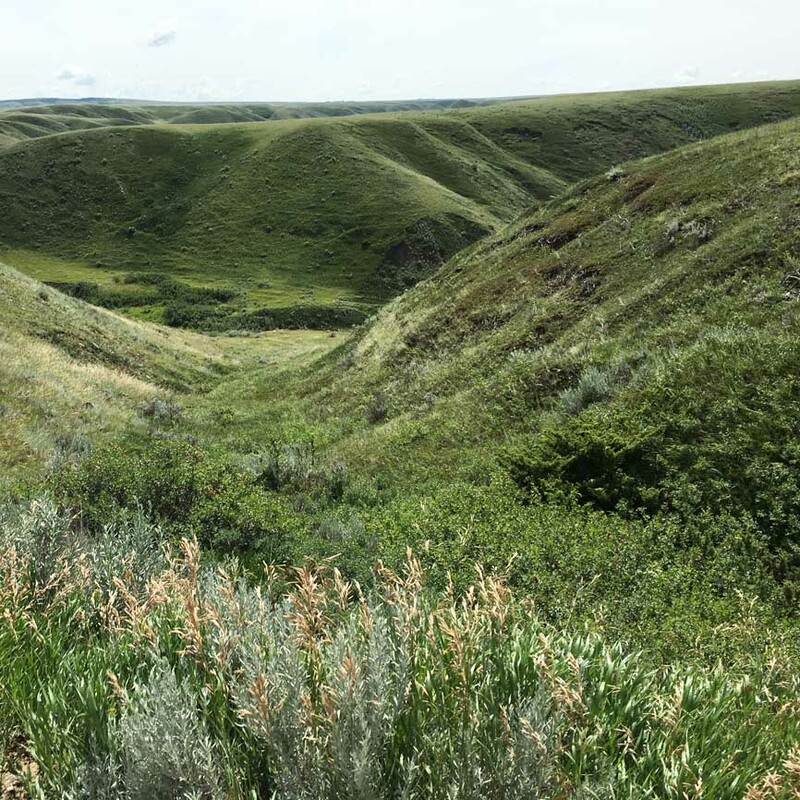 Nearby sites include the Great Sand Hills, the scenic South Saskatchewan River, teepee rings, buffalo rubbing stone, archaeological digs and much more. 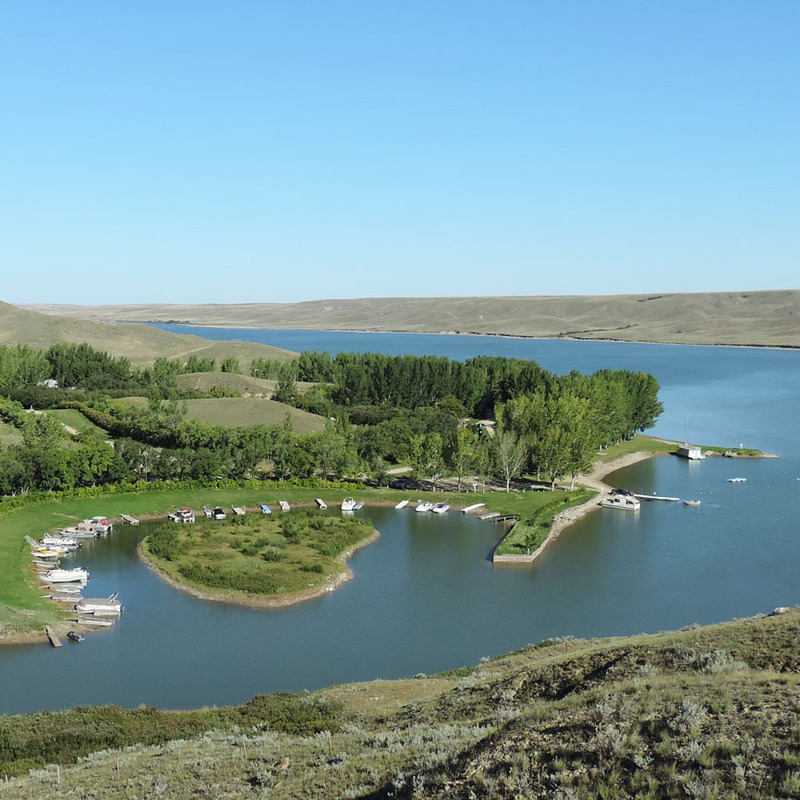 Lake Diefenbaker was formed when the South Saskatchewan River was dammed. This created a natural bay that attracted local boating enthusiasts. They became a Regional Park in 1976 and with the help of local volunteers, this beautiful park was created and maintained. The park is located near the Great Sandhills. The Cabri Museum also houses artifacts illustrating the history of the area. 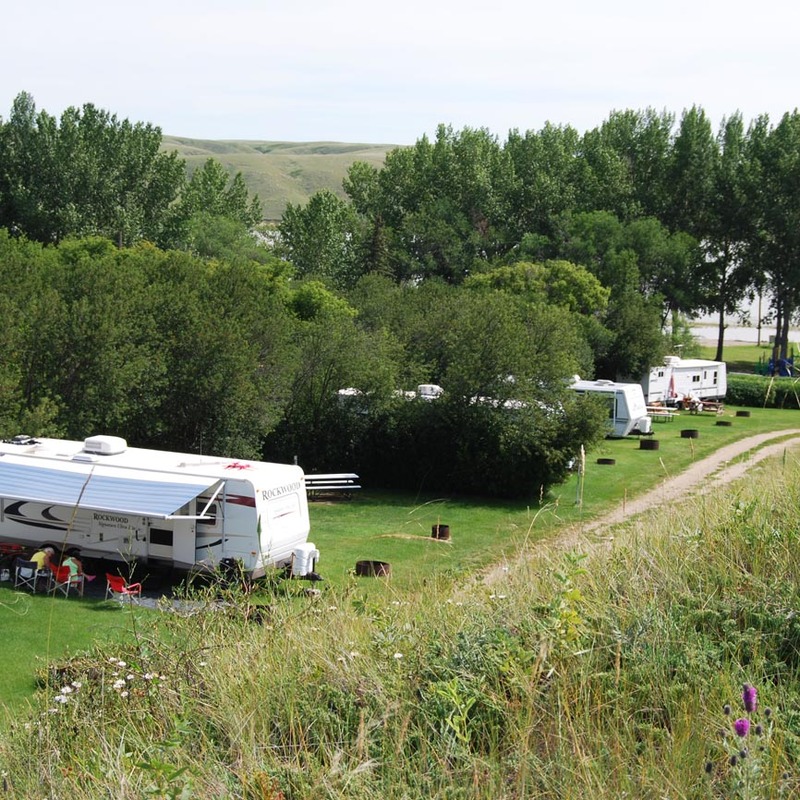 Campsites: Level grass. Walkways/Trails: Gravel. Wheelchair accessible washrooms and showers are available. Quiet time from midnight to 7:00 a.m. is enforced. Dogs must be on a leash. 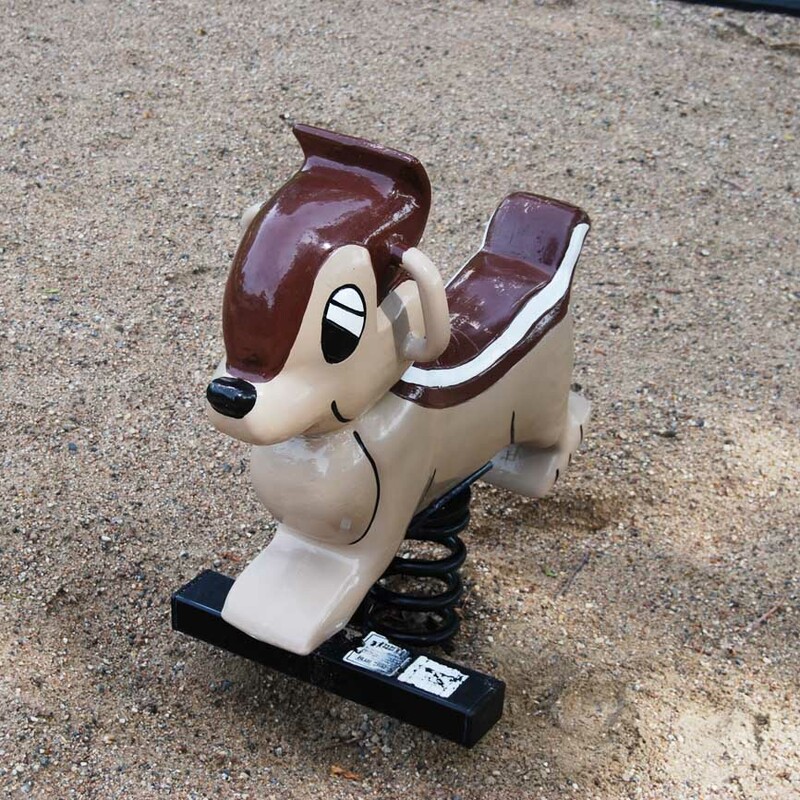 There are no off-leash areas in the park. Seasonal Sites – Wait list. Please go to www.cabripark.ca for application. 80 full service seasonal sites (waiting list), 26 full service daily sites, 8-15 amp power and water only daily sites, and 9 tenting sites. A separate section with 15 amp electric and water (no a/c use and no sewer at sites) is available for groups of up to 8 trailers. 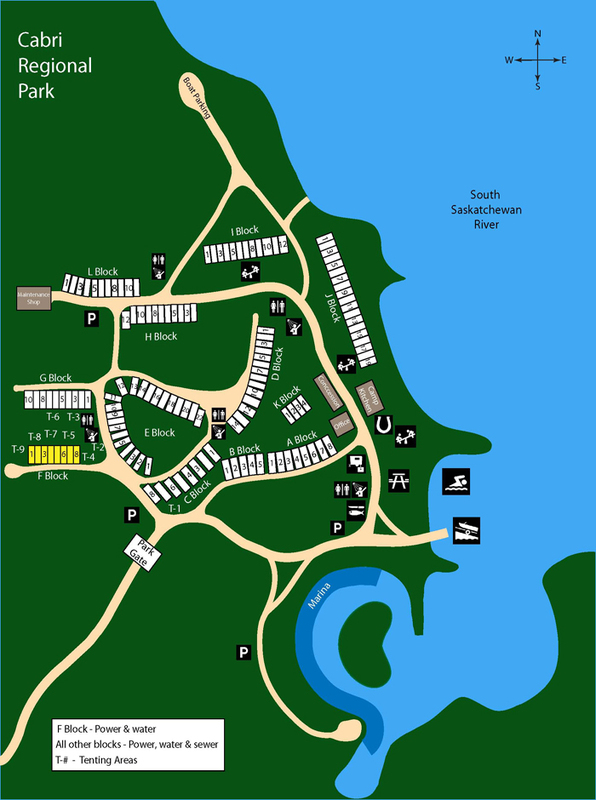 There is a designated area for swimming in the lake, close to the playground. Lots of shade to sit in while you are watching your little ones. Non supervised. No lifeguard. Dogs are not allowed in the designated public swimming area. 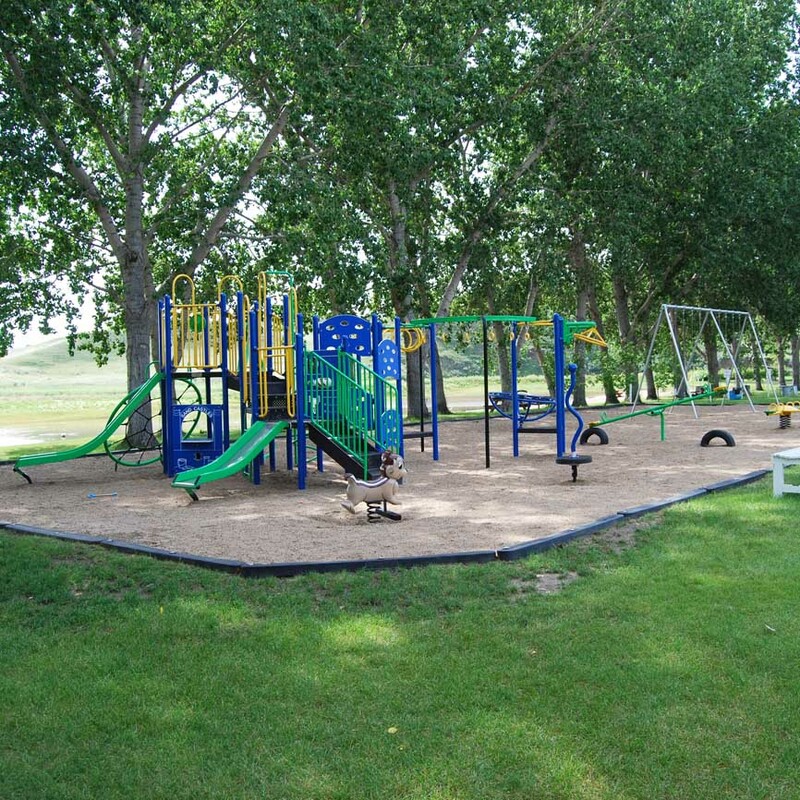 Large new playground area west of the beach, surrounded by grass, features swings, slides, merry go round and creative playground. 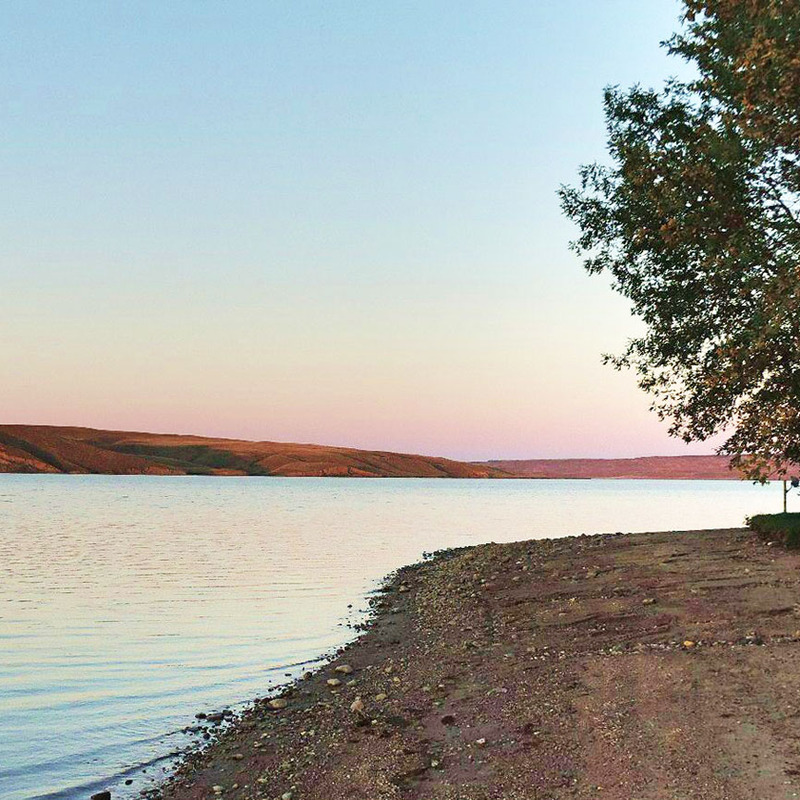 The South Saskatchewan River and Lake Diefenbaker are a fine source for several kinds of fish such as walleye, northern pike, sauger, burbot (ling cod), goldeye, whitefish, rainbow trout, and sturgeon. The river hills offer great hiking and bird watching experiences. Reservations are taken by phone only beginning May 4, 2017. Please let us know as soon as possible if you need to cancel your reservation. A $5.00 reservation fee and one night of camping are non-refundable.